Probably you have a bunch of duplicate files on your computer and want to get rid of them, but the manual process of comparing and sorting out what’s duplicate or not throw you off a bit, then you might be glad to know that there are many freeware and open source duplicate file finders that do this process for you. duplicate files don’t only take unnecessary hard disk space on your computer, but also hinders your productivity. when having duplicate files sometimes is really hard to know what is updated or outdated, so people go through each file and see which one has the latest modifications.. this is not only painful, but also time consuming. so without any further lecture, here are 8 freeware and open source file duplicate finders that will help you find and remove duplicate files from your computer. Duplicate Files Finder Duplicate Files Finder is an application which searches for duplicate files (files which have the same content, but not necessarily the same name) and lets the user remove duplicate files, either by deleting them or by creating links. The search is very fast compared to other similar programs which use hashing algorithms. Duplicate Cleaner Find and delete duplicate files, mp3s, photos, old documents and much more. This fully featured program will work at home or in a networked environment. Best of all Duplicate Cleaner is freeware, meaning you get the full program and it doesn’t cost a thing. 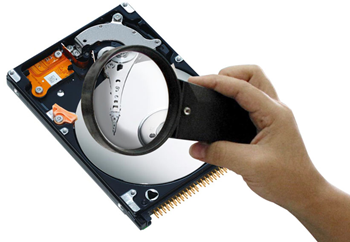 Clonespy CloneSpy can help you free up hard drive space by detecting and removing duplicate files. Duplicate files have exactly the same contents regardless of their name, date, time and location. Also, CloneSpy is able to find files that are not exactly identical, but have the same file name. Perhaps you have different versions of a file and you want to find all of them and remove the older versions. CloneSpy can also find zero length files. These are files that have no content. Doublekiller DoubleKiller is a fast and easy to use application for finding and removing duplicate files. Yet another duplicate file finder Another duplicate file finder/remover. But this one is ULTRA FAST, safe, easy to use and of course free and open source. Please if you know any other freeware or open source file duplicate finder tool, post the link in a comment, and I will add it to the list, if its worthwhile.